LED lights are sold by Sydney Lighthouse in our online shop. 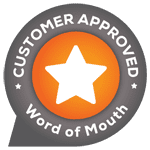 Below you will find information on why they are a great alternative in the home and office. Energy and Air Emissions are a growing concern as many industries around the world are faced with two energy challenges: how to efficiently provide clean, secure and affordable energy and how to minimize the impact on the environment. The development of LED technology has lead to a pinnacle of lighting in the ways of energy consumption and lumen quality. The standard halogen downlight fitting requires vastly more energy to produce the same amount of light compared to LEDs. Commercial, Residential, Marine and Solar – each of these industries is seeing strong movement towards advanced lighting. By upgrading lighting, these industries are recognizing substantial savings through alternative energy and efficient lighting. Swapping to LED lighting can also improve the value of your property. It will lower power consumption and provide a sustained long life (50,000-100,000 hours), in turn lowering maintenance costs. Consuming considerably less energy and power than conventional halogen or incandescent lighting, savings of up to 80% can be made off your electricity bill by using LED lighting. The main LED downlights we use are the most efficient and brightest LEDs in the Australian market, they are from the Trend Lighting LED Series. The MiniLED XDA08 and MiniLED XDC08 series are ideal for homes. They offer the same lumen output benefits of a Halogen bulb except with reduced environmental impact, zero maintenance and lower energy consumption of only 8W & 10W with cutouts ⌀76mm and ⌀92mm. 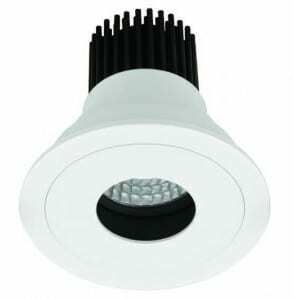 The MiniLED series offers great light quality for retail and hospitality applications. With its high CRI 90+ it means product, people and interiors will look as good as they can. 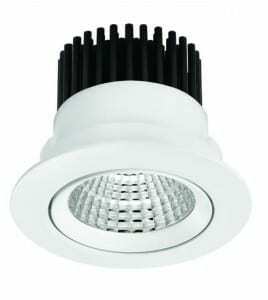 With high daily use in commercial and residential areas the MiniLED series has an exceptionally fast payback period. The MiniLED series are designed for Australian heat conditions lasting 15 times longer than halogen and much longer than other LEDs designed for temperate conditions and unlike fluorescent bulbs, the MiniLED turns on instantly. The MiniLED series is dimmable using any type of dimming system for standard wall dimming or home automation such as C/Bus & DALI 1-10v (available on request). 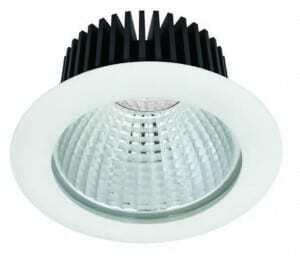 It also has a Unit efficiency of up to 86 lumens per watt. The entire unit is designed to last 15-30 years (50,000-70,000 hrs) RoHS Compliant. Totally recyclable through conventional recycling methods. Free from Mercury, Lead, Cadmium, Hexavalent chromium, Polybrominated biphenyls and Polybrominated diphenyl ether. The MiniLED series is an affordable replacement for your halogen downlights, having both smaller cutout sizes 76mm and larger cutout sizes 92mm for your standard halogen downlight to be removed and replaced with the LED unit. With a total light output of 1030 lumens and at only 8W, the MiniLED series totals the same as the output of a premium 50W halogen bulb. 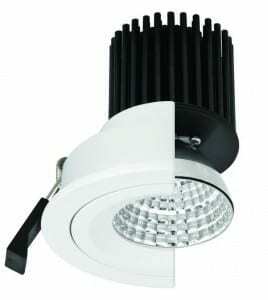 The difference is that the MiniLED series uses only 8 Watts! Like all Trend Lighting products, the MiniLED series are designed to last. With its large heat sink and innovative thermal materials it has a target life of 50,000 hours. This applies even in hot Australian conditions that are notorious for affecting LEDs. The MiniLED series have its own on board temperature monitoring, allowing it to automatically dim itself to maintain its target product life and prevent the risk of fire.To improve brightness and product life the MiniLED series has a larger than usual heat sink. 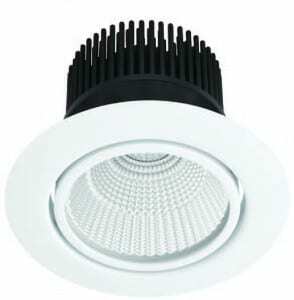 The MiniLED series is designed to fit all downlight cutout sizes for easy remove and replace of older halogens. Trend Lightings 15W, 26W, 30W, 40W and 60W LED downlights are Trend Lightings’s most powerful LED downlights, and one of the most powerful LEDs for their size. Fully dimmable with a 5 year warranty. Suitbale for all commercial applications and also a great single room, larger bedroom LED downlight or an excellent commercial showroom LED downlight. Available in White, Black or Silver finishes, also with optional opaque or frosted glass lens. Trend Lightings 26W & 30W LED Downlights can save up to 70% on your lighting power costs when used to replace your standard 100w halogen. Trend Lightings 26W & 30W downlights are one of the most powerful LED’s available today. Fully dimmable with a 5 year warranty. A great single ceiling light for the bedroom or those larger rooms needing brighter than normal lighting. An ideal LED for those commercial showrooms to replace the standard 100w halogen globes, saving 70% on power costs. Suitable for all residential and commercial lighting applications. Available in White, Brushed Silver or Black finishes, the frosted lens provides a more diffused light. For alternative low level lighting, from the MiniLED series the XDH10 & XDA08 round and square series are available in both white, silver and black finishes. The MiniLED series allows for direct lighting of smaller spaces such as alcoves, vanity basins, walls recesses and kitchen benches. 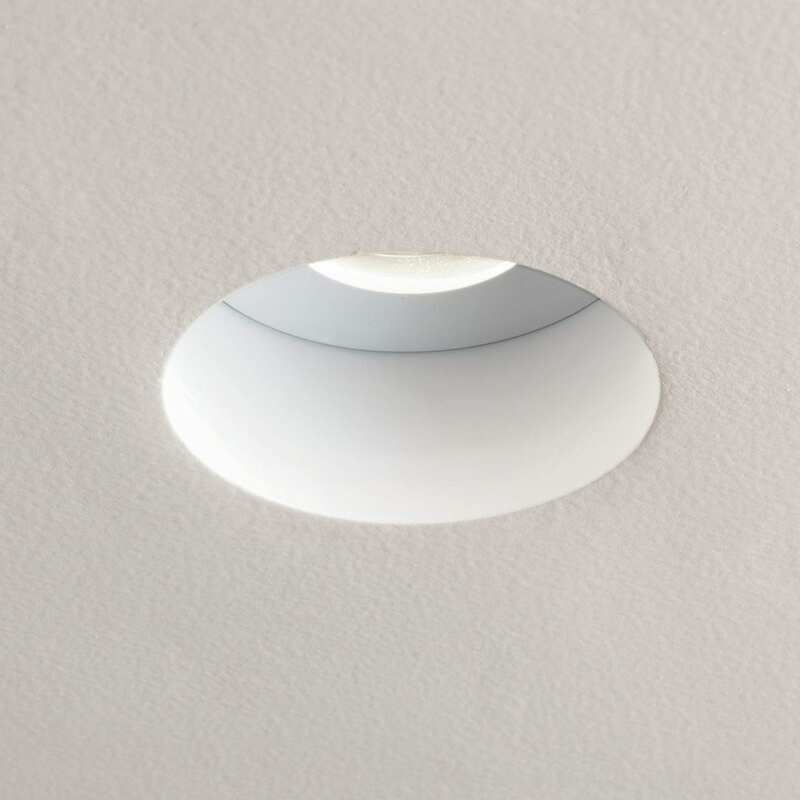 Astro Lighting’s Trimless LED Fire-Rated Downlights are the ideal for bathrooms, interior spaces & alcoves/balcony’s. The sleek trimless design of the Blanco fittings are perfect for designs which are seeking minimal amount of trim on the fittings. Available in a square or rounded finish, square version also comes in a twin slotter. Stack 3 single trimless fittings together to create a triple trimless slotter effect! LED lamps are resistant to vibration as there is no filament to break. LED’s also generates considerably less heat than halogen or incandescent bulbs and are safe to use in confined spaces and low level ceilings lowering the possible risk of fire. LED lighting also has a distinct advantages over the standard incandescent/halogen lamps. They have extremely long life and are rated at 50,000 ~ 70,000 Hrs lifetime. Incandescent / Halogen bulbs are generally rated at 3000 ~ 5000 Hrs. LED lighting is better for your health (unlike Fluorescent and Compact Fluorescent Lamps) they do not contain ultraviolet and infrared light, do not produce radiation (ordinary light contains ultraviolet and infrared ray), has no harmful elements such as mercury and xenon and does not produce electromagnetic interference (ordinary lamp contains mercury and lead, elements, energy-saving lamps in the electronic ballast will emit medium-high levels of UV or infrared radiation and electromagnetic interference). LED lights are environmentally friendly UV, Mercury & Lead Free. LEDs are recyclable, meaning less ends up in landfill sites. Greenhouse emissions are also reduced up to 90%! Making LED lighting the perfect choice for any eco-friendly abode.